The iconic orange gasket means you're canning with quality. The gaskets are made of a natural material and cannot be reused. Displaying or storing gaskets on Le Parfait jars may damage them for canning purposes. Jars are shipped with a paper seal and the gaskets inside for their protection. 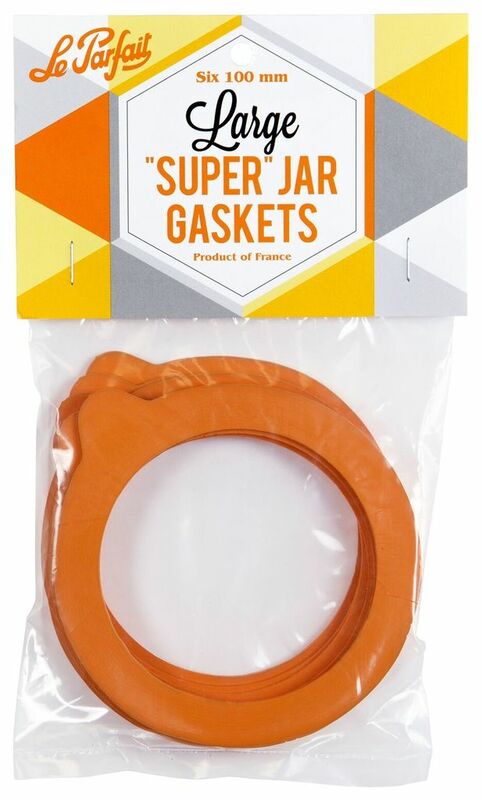 The 100 mm gaskets are made of a natural material and are not recommended for repeated use. 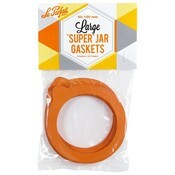 Displaying or storing gaskets on Le Parfait jars may potentially compromise them for canning purposes. Fits 3 L Le Parfait Super Jars and 500 g, 750 g and 1000 g Le Parfait Super Terrines. 6 per package.